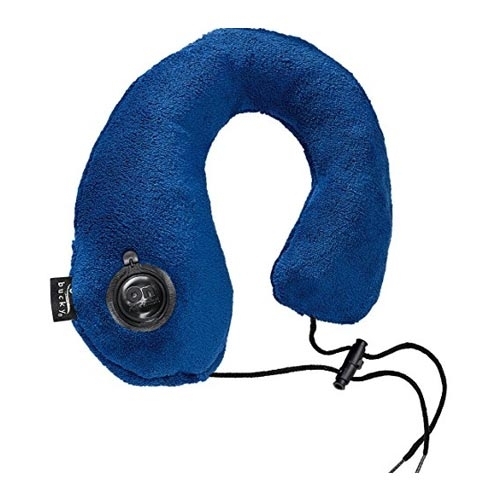 The smart design of the Gusto Neck Pillow makes it one of the most versatile, customizable travel pillows on the market! 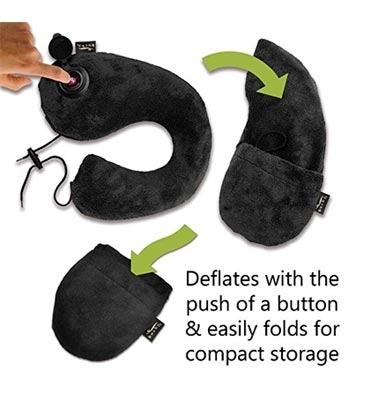 Even better, the Gusto Inflatable Neck Pillow folds neatly into its own pocket and won't take up space in your carry-on bag or luggage. Heading drooping forward? - Use the cord’s toggle to tighten or loosen the pillow. Head leaning to the side? - Swivel the pillow freely around your neck to find the perfect spot.